The difficulty with ethical situations is that they are not always black and white. In fact, often they are gray. Will your organization end up on the front page, how would your parents feel, trust your gut (and your nose) and the AFP Code of Ethics can help guide our decisions. Join us for a lively discussion of “what would you do” as we explore ethical dilemmas in fundraising. 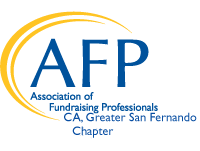 We’ll enjoy a bit of holiday cheer, good food, and laughter as we wrap up another year of AFP. Attendees will be entered into a drawing for a $50 gift card. We hope to see you there!